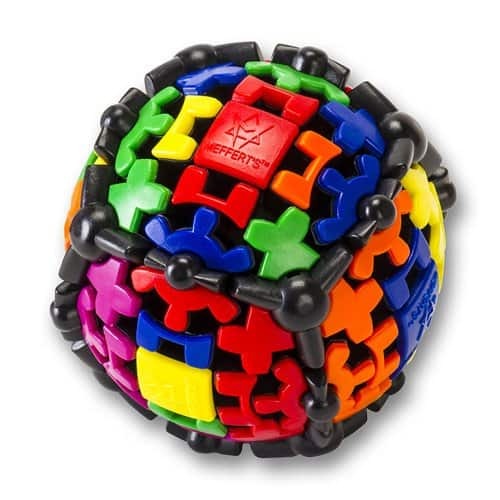 Give the puzzle enthusiast within you a challenge of his lifetime with Gear Ball Rubiks Cube. The cube is an exception to the cubic community for it’s not a cube, but a ball like structure with colorful appearance. This cube also promises to be a valuable addition to your work desk for its aesthetic value. The VeryPuzzle Clover Icosahedron D1 is the 20-sided variant of the Clover Cube Puzzle. As with the other clover cube variants, it features 2 locations on each edge that can be rotated freely. With professional design adjustments and molding technology, this cube has attained a smoother feeling and better performance, while being an overall outstanding cube! Quench your curiosity to know about the insides of a Rubik’s Cube with this Winning Moves Games The Void Puzzle. The centerpiece of a Rubik’s Cube never changes its position so let’s get rid of it. Get an inside-out view of a Rubik’s Cube through this Weird Rubick’s Cube titled Centre Fresh Rubik’s Cube. Your drunk friend won’t like it at all because this puzzle can’t be solved without being sober. A perfect addition to any home bar just lock a beer bottle inside this puzzle and the bottle can’t be opened until you solve the puzzle. A perfect white elephant gift idea for your beer buddy. Good for Creative thinking & improve both your IQ & EQ. A perfect training for your left and right brain. This cube puzzle is formed and integrated with Thick-and-Thin Layers. Try out this cube and see if you can solve it in minutes, hours or days? Ready for your left and right brain training? This Time Machine Rubik cube will be the hardest cube challenge in your cube solving journey. There are 6 color surface, 6 roulette wheels with numbers on it. To solve this cube firstly you may need to match each roulette color and sequence numbers and then each surface colors. Get MF8 Giant Square Rubik’s Cube for a simple looking but a challenging experience that will definitely make you scratch your head. Experience how the cube manipulates your vision as you demystify its secrets without messing up with its physics. Looking to up the ante through a quirky Rubik cube’s challenge? Get your own Black Square Rubik’s Cube to quench your excitement. The cube comes with an array of different geometrical figures in addition to squares that earns it the title of a “fantastic puzzle”. 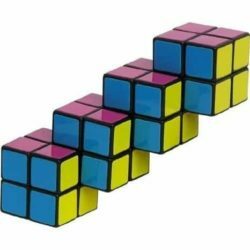 It is undoubtedly one of the most difficult Rubik’s cubes in the market. Still laughing on the orthodox 3*3 cube and their never exhaustive range of variants for their “easy” solvability? Then it’s high time to move on to the next level. 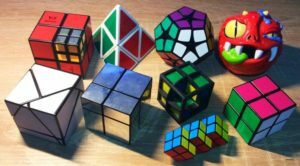 Awaken the mutant within you with this new X-Cube puzzle – by Moving Parts that has the potential to change your whole perception about Rubik’s cube. Give your mind a grueling experience through this marvelous piece of plastic engineering. Stairwell Rubiks Cube has a staircase appearance to it that can befuddle anybody. Whether you are able to solve it or not, the cube promises to leave a smile on your face every time you make bids to solve it for its bizarre structure. Interested to do something impossible? How about solving a unique Rubik’s cube with dimensions of 13x13x13? Monster 13×13 Magic cube gives you an opportunity to get your lazy nerves back on track and feel on top of the world. The only catch is that you have to solve this monster!! 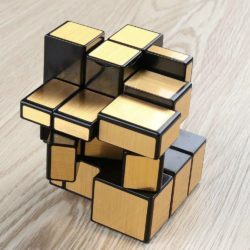 Fall into a cubic “mess” with the exciting Shengshou Rubick’s Cube Puzzle. It’s a cube that creates different shapes and looks like a mess due to differently sized blocks but magically falls into place once you start getting it right. The puzzle is one of the hardest Rubik cubes to solve and requires a third degree of patience for solving. If you are a fan of the DC universe you are going to love this thing. 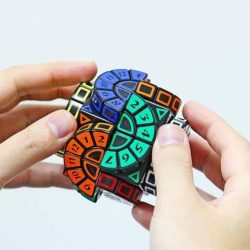 Eco-Dark Rubik’s Cube is a savior for those who are not into stickers and colors. Get the darker side of your brain unleashed through this environment-friendly Rubik’s cube that is completely black. Fed up with arranging square blocks with square-shaped color stickers glued on square blocks into a square cube? Time to bring some triangles into your life. Try this unique Pyramid Shaped Rubik’s Cube made up of triangular blocks that look like baked chips of multiple colors that magically fall into place. Test the zenith of your nerdiness through this mind-boggling Inside Out 3D Gear Mechanical Cube. Get a skeleton view of your beloved Rubik cube and see how magically it falls into place once you start moving it into different directions. Feeling overconfident after solving that regular boring three by three Rubik cube thousand times? 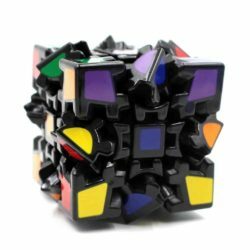 Give your brain a dosage of extra stress with this Pot Shaped Cube Puzzle that has the potential to ruffle your hair as if you have survived an electric shock!! Bored of fidget spinners? Never be bored with this unique and interesting Snaak interlocking cubes to fiddle with. There are no limits to these 64 interlocking cuboid units you can make the almost infinite number of shapes with it. This fun 3D puzzle is the ultimate fiddle toy. If you like solving difficult puzzles you should try this one. This 1000 piece Cinque Terre jigsaw puzzle features Cinque Terre on the stunning Italian coastline. A popular destination for European travelers. Gift it to your husband or kids to busy them for hours. It Includes bonus poster for help in solving.